Happy Thursday, all! Here’s a look into my food life today. 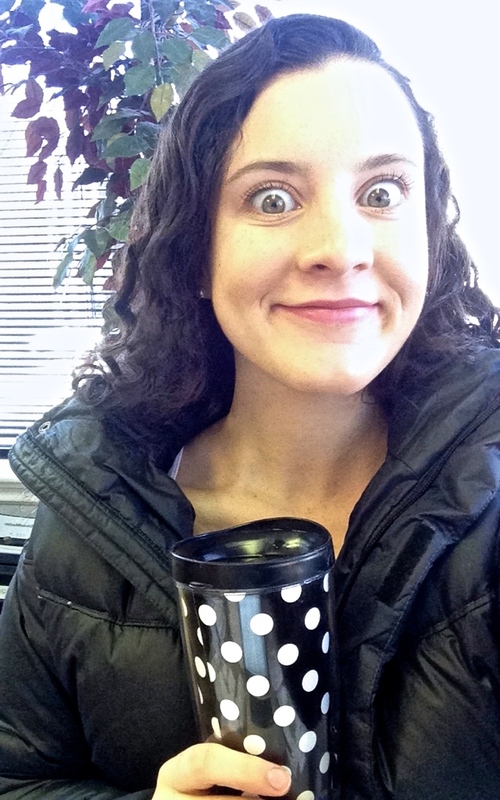 7:15am I wake up and immediately drink a large glass of water. 7:30am In route to the gym, I pop in a handful of raw sunflower seeds. 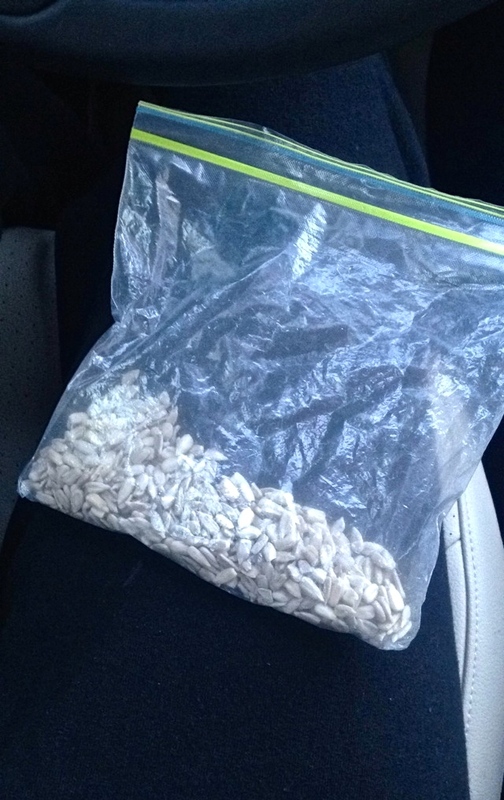 I l always keep a bag of nuts or seeds in my car as a morning pre-workout food or emergency snack. Thankfully I was able to actually get to the gym today though. Since the snow, it’s made getting my workout in rather difficult. 7:45-9am I do sprint intervals for 15 minutes on the treadmill, then move onto 50 minutes of strength training for my shoulders and traps. I hadn’t worked this area of my body in two weeks, so it was a bit of a challenge! 9:15am Upon arrival home from the gym, I make a smoothie bowl made with 2 frozen bananas, a handful of frozen blueberries, a handful of fresh spinach, almond milk and PB2. 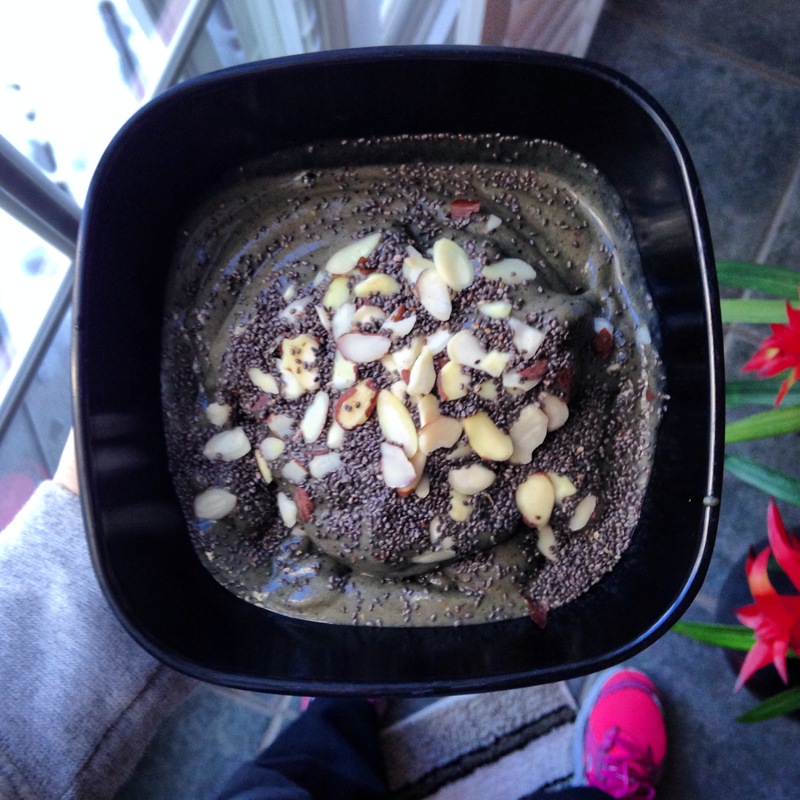 I then top it off with chia seeds and sliced almonds. 9:30am I take a shower and get ready for the day. 10am On my commute to work (Dad and I drove in together this morning! 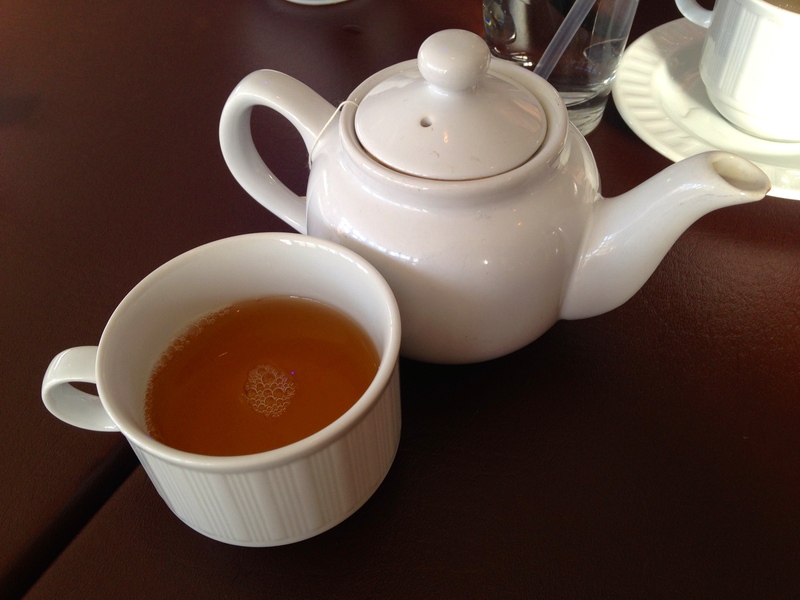 ), I sip on some green tea and continue to do so for my first hour of work. I continue to drink lots of water through out the entire day too! 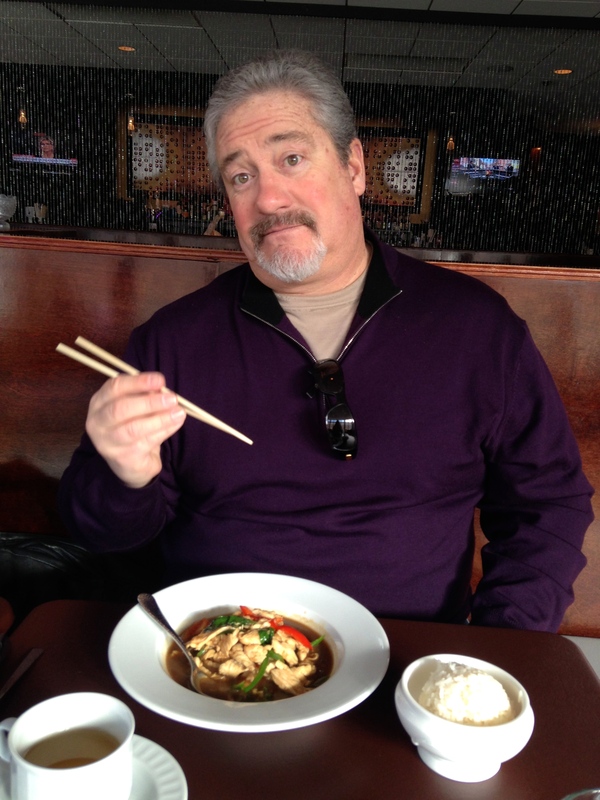 12pm My dad’s office is actually down the street from where I am working over winter break, so he took me out to lunch to celebrate my belated 1.5 year vegan mark! As of lately, I’ve been just loving all Indian flavors, so we headed to the Indian restaurant across the street, but much to my surprise, there were very limited vegan options and not-so-accomodating staff. 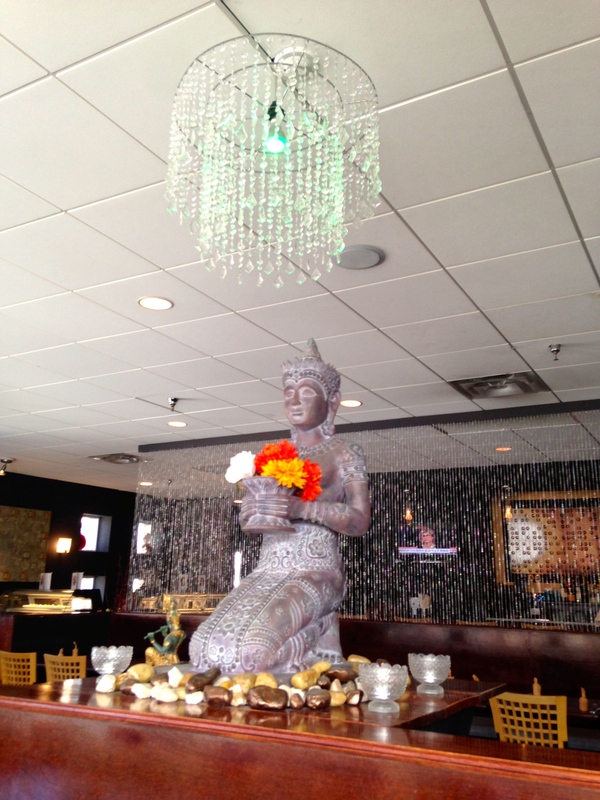 As a plan B, we headed to the Thai restaurant, “Absolute Thai,” upstairs and very much enjoyed our dishes and the tranquil atmosphere. 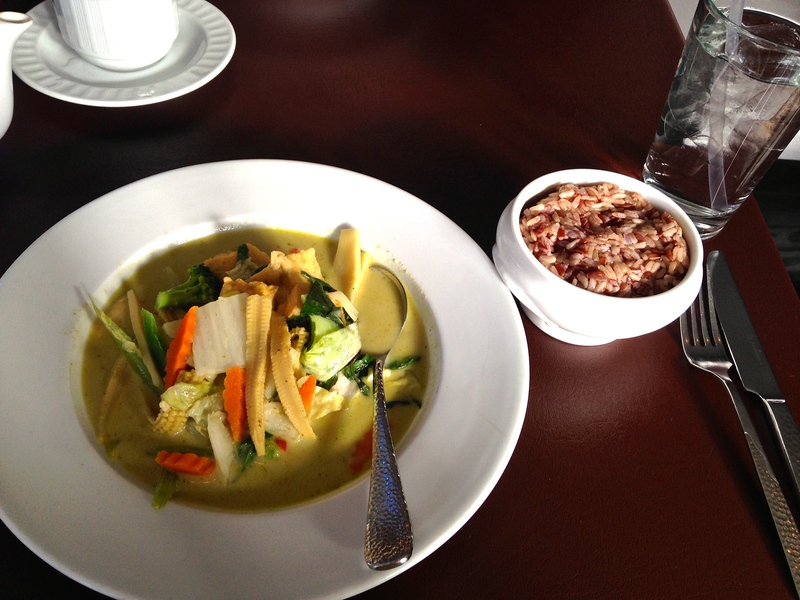 I ordered the Green Curry veggies and tofu with brown rice and some nice, warm green tea! I can never get enough of that stuff. 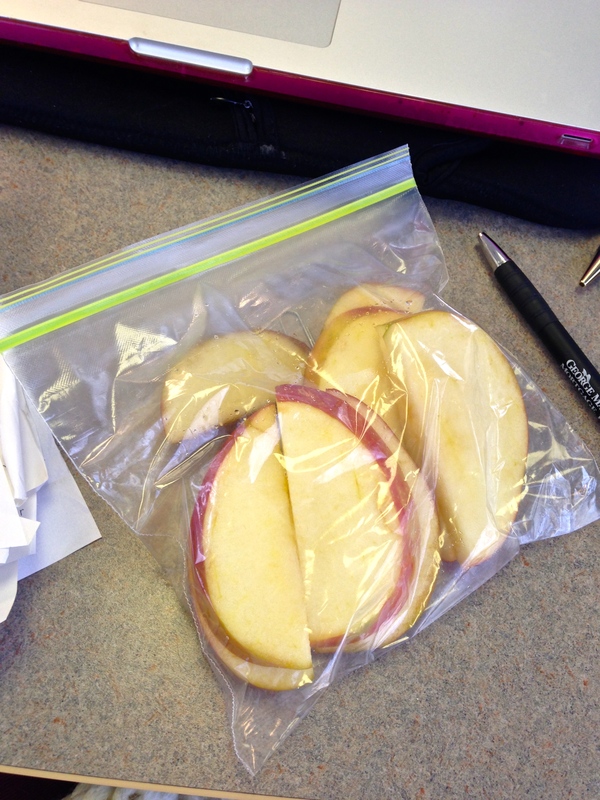 2pm I eat half of my Pink Cripps apple slices as I work. 3pm I eat the other half of my apple slices. 4:45pm Upon arrival home, I peel apart a juicy clementine and chow down. Make that two. 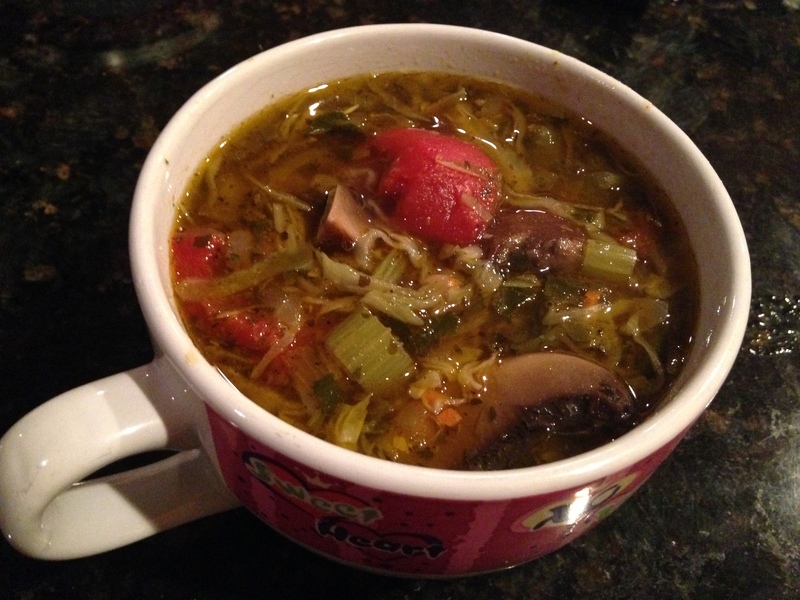 6pm I excitedly pour myself some of my mom’s famous minestrone soup. Seriously though, this stuff is AMAZING. 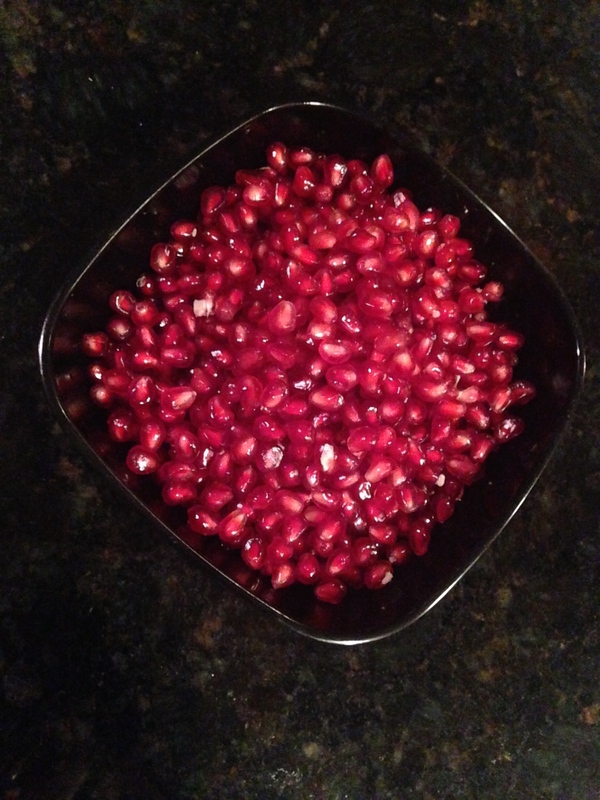 8pm I de-seed a pomegranate and eat every single seed, per usual. I think it’s well deserved too after that lengthy de-seeding process. Someone seriously needs to invent a pomegranate de-seeder already! 10pm I hop into bed and read various vegan blog sites for about 30 minutes until my eyes get heavy and I fall asleep. Being able to put a live personality to the insight provided and to view actual preparation of recipes and other instructional type posts would be super beneficial and a lot more entertaining, in my humble opinion. This is just a thought, but I’ll keep you all updated with that. Who knows…maybe “vlogging” will be my first project on my own as a college graduate in my new living arrangement, wherever that may be! As much as I would have liked to stick with the raw vegan diet, it’s been a bit trying with the vicioiusly cold weather we’ve been having. I’m still attempting to keep all my dishes as simple and whole as possible though, still incorporating more raw foods into my daily intake, just not 100% or until 4pm. I see the potential for this type of transition when the weather gets a bit warmer. I’m already excited for it! That’s all for now. I hope everyone’s new year resolutions have some correlation with a happy mind and a healthy body, and that you all can find the determination within yourselves to stick by them. You deserve to be your best you.